NUI : A natural user interface (NUI) is a system for human-computer interaction that the user operates through intuitive actions related to natural, everyday human behavior. Kivy is a Python library for development of multi-touch enabled media rich applications which can be installed on different devices. Multi-touch refers to the ability of a touch-sensing surface (usually a touch screen or a trackpad) to detect or sense input from two or more points of contact simultaneously. Implement the build method, which will return the widget. Instantiate the class an invoke the run. The above statement will import the ux element Label. All the ux element are present in your installation directory your_installation_directory/kivy/uix/. The above statement is for to create your app and class name will be your app name. This class is inherited the parent app class. The above statement override the build method of app class. Which will return the widget that needs to be shown when you will start the app. The above statement is the body of the build method. 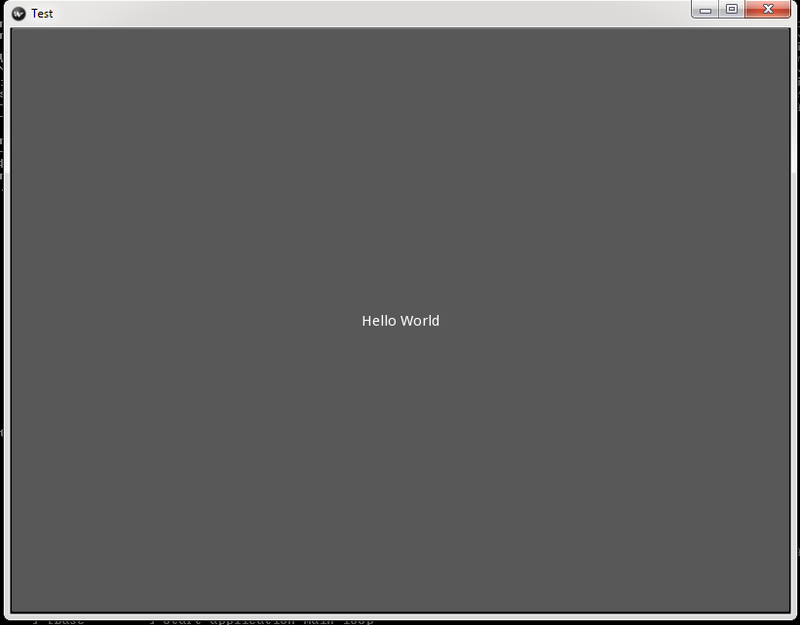 It is returning the Label with its text Hello world. The above statement is the entry point from where python interpreter start executing your app. The above statement Initialise your Test class by creating its instance. And invoke the app class function run(). Your app will look like the below picture.